The XENON experiment is a 3500kg liquid xenon detector to search for the elusive Dark Matter. Vist the linked page to have a look at the description of the detection principle, the recent publications, some pictures, or materials for press contacts. 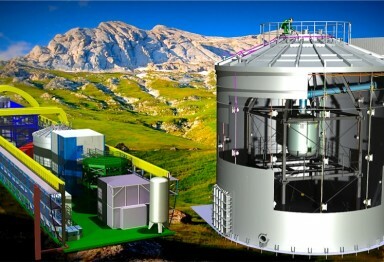 The XENON dark matter experiment is installed underground at the Laboratory Nazionali del Gran Sasso of INFN, Italy. It is operated as a dual phase (liquid/gas) time projection chamber to search for interactions of dark matter particles. The XENON experiment is a collaboration of 120 scientists, representing 24 different nationalities, and 21 institutions across the world. About 60 graduate students are working in the collaboration to make this experiment the most sensitive search for dark matter ever performed.